So you have a formula. You have great ingredients. You have a digital scale1. You’ve measured everything. What next? Where’s the wand that turns these ungainly liquids and powders into magic? 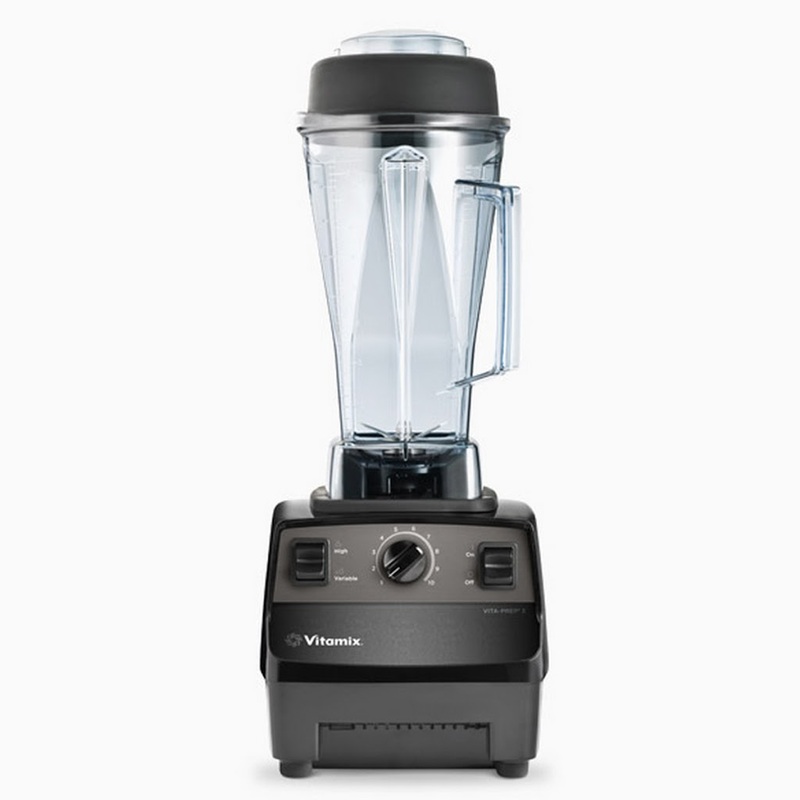 A high-powered blender is ideal, for its ability to disperse powdered ingredients like gums (t can also be useful later, for the homogenizing step). A regular blender or stick blender is fine. If you’re mixing by hand with a whisk, you might have a hard time keeping ingredients like dry milk and gums from forming clumps that won’t dissolve. One trick is to thoroughly mix all the dry ingredients before adding to the liquids. An ingredient will only form clumps with itself, so if there are particles of another ingredient running interference—like sugar—the powders tend to stay separate long enough to dissolve. If you’re using a blender, pick a speed that creates a vortex without any splashing, and pour the well-mixed powders down the center. Then put on the lid and blend on the highest speed for 30 seconds or so. It’s best to add add yolks afterwards, and blend just briefly to incorporate. Egg in the mix can make gums harder to disperse, and can also encourage foaming. The traditional method is a saucepan on the stovetop, but others are hands-off and give more precise and consistent temperature control. My preference is an immersion circulator, for its precision and complete prevention of evaporation—and because it’s such a useful tool to have around for a thousand other things. It can be less convenient than some other options, especially for larger batches. Using a circulator means cooking the mix sous-vide, in a Ziploc freezer bag. Pour the mix into the bag straight from the blender, add a weight (you can use a spoon, or make your own weights from stainless steel rod stock) and evacuate the air by partially immersing in some water before zipping. To help get all the mix up to temperature, I like to pull the bag out of the water bath to agitate it a couple of times—5 minutes and 15 minutes after starting cooking. If these ideas are unfamiliar, please see our sous-vide series. A laboratory hot plate is a brilliant device and still a novelty in kitchens. It combines a hot plate and a magnetically driven stirring rod (just drop it into your pot and it spins, as if by magic). The better ones (which you’d want) include a probe thermocouple, so the heater can automatically maintain a fixed temperature. You’d want to rig some kind of lid with a hole for the probe, to slow evaporation. I have no experience with the Thermomix. They’re not so common in the U.S., but people across the pond rave about them. 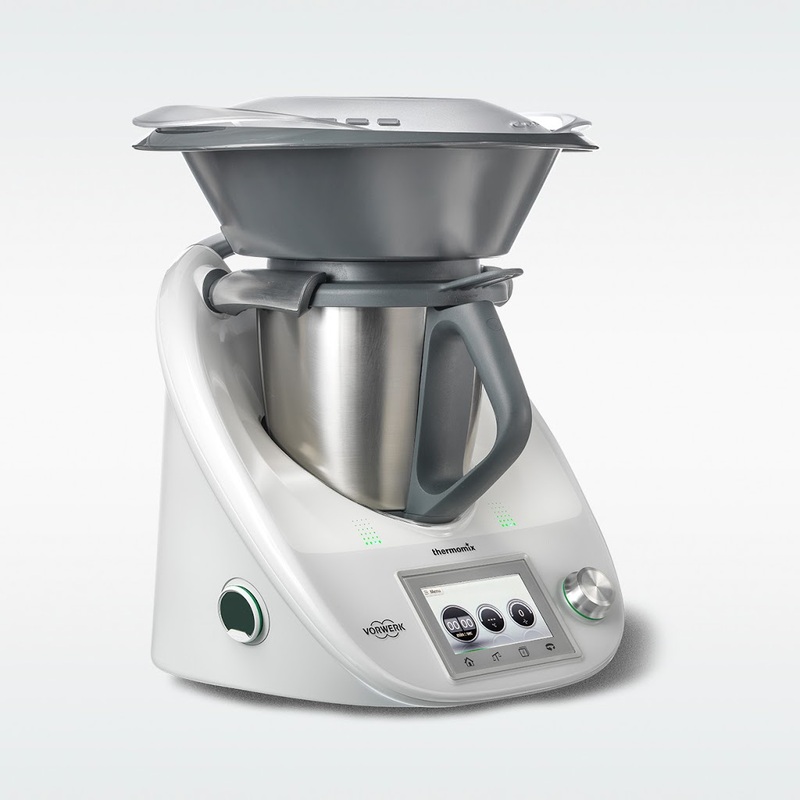 It combines a blender and a thermostatically controlled hot-pot, and probably a few other things. It should work well for cooking ice cream. Kitchenaid makes its own electronically controlled heating bowl. I have no experience with this either. 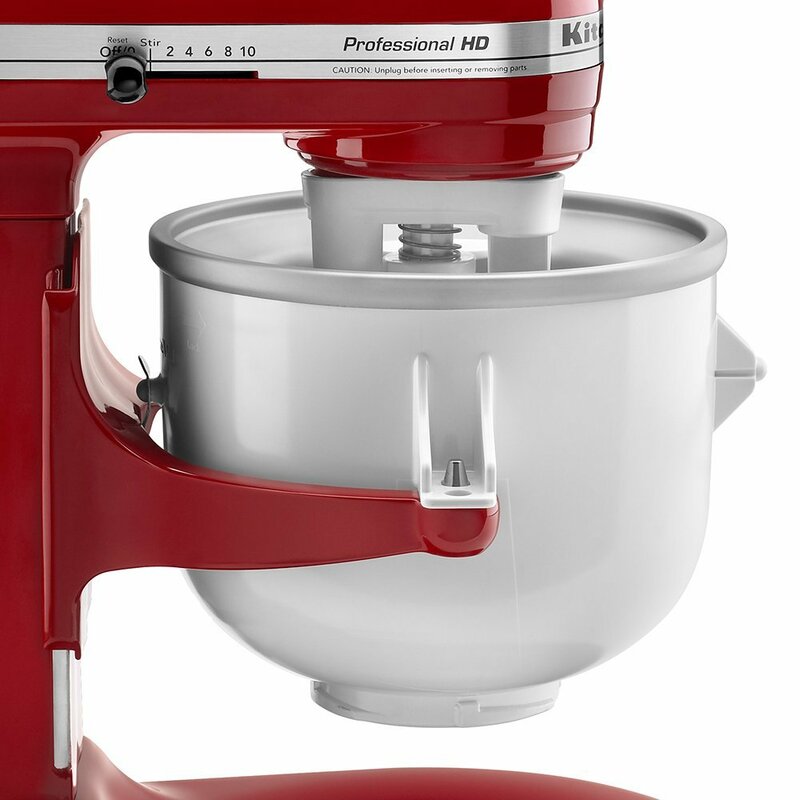 If you already have one of their mixers, it could be worth investigating. A spatula with a built-in thermometer might help on the stovetop. 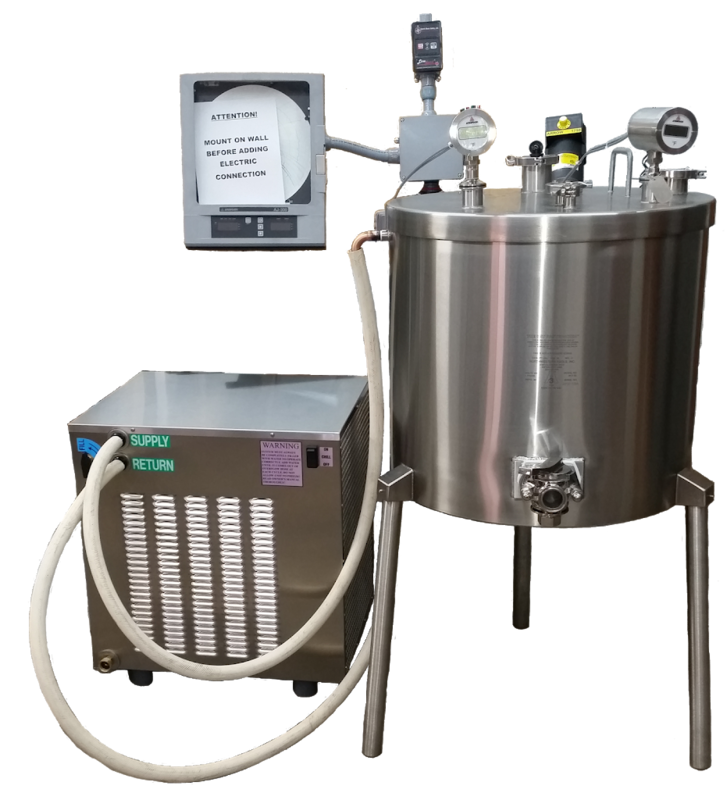 If you need to scale to commercial quantities, a pasteurizer, like this one by Jaybee, with attached chilling unit, will likely be in your future. It has a built-in agitator, and makes a hardcopy time/temperature graph. Save your pennies. If you choose a saucepan on the stove, just be aware that precise temperature control won’t be possible, and that you’ll be losing water to evaporation. Some people make use of this evaporation in order concentrate milk solids, but between temperature control, evaporation control, and constant stirring, this gives you a lot to handle. See the note on evaporation, in the Time and Temperature section. A bit of good news: if you go the stovetop route, you can dispense with the old-time practice of tempering your egg yolks. It serves no purpose. Just toss the yolks into the pot once you’ve dissolved the solid ingredients and start heating. A flat-bottomed silicone or bamboo spatula works better than a wooden spoon for stirring and scraping the bottom of the pan. You’ll probably want to keep with the traditional practice of straining the mix afterwards; a little bit of overheating and curdled yolk can be hard to avoid. The traditional French method is all about traditional French custard: throw in a lot of yolks, put the pan on a hot flame, stir until the custard thickens, stop. This method will pasteurize the mix by default, and gets it hot enough to hydrate just about any gums, but pays no attention to the milk proteins. It also, surprisingly, pays little attention to the texture and flavor of the custard. We used to be taught that custard sets at a precise temperature, and that the only variable was the concentration of yolks. 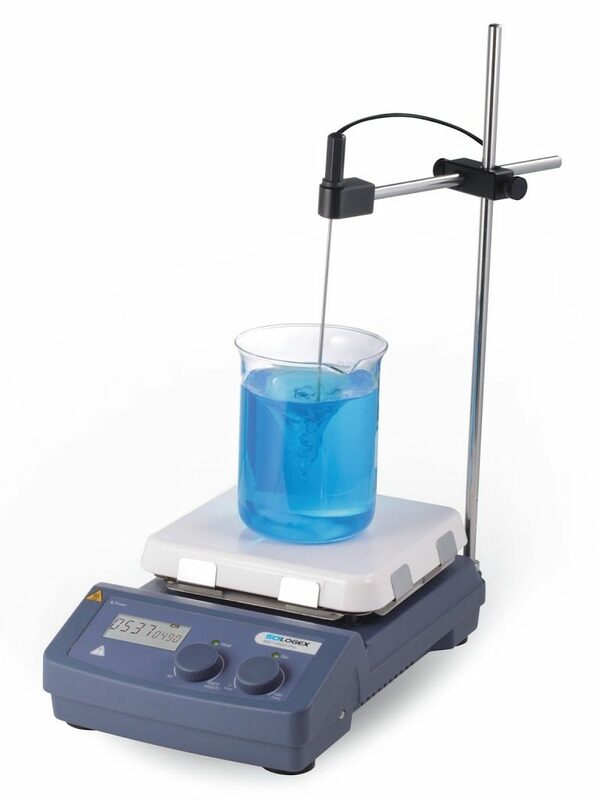 We now know that viscosity rises on a continuum, not just with yolk concentration but with temperature2. 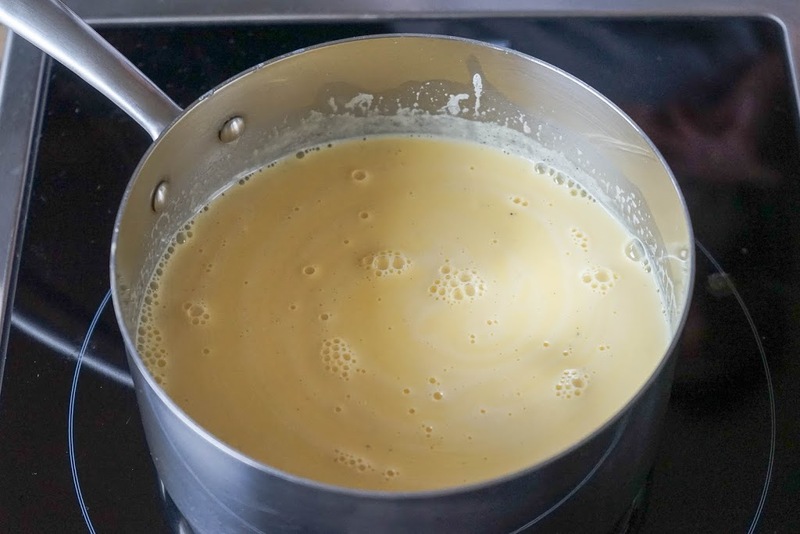 Custard forms, at varying thicknesses, between 70°C / 158°F and 88°C / 190°F. Additionally, at higher yolk concentrations and higher temperatures (above 75°C), yolks begin to produce hydrogen sulfide gas, and can develop unpleasant flavors. These flavors may intensify with prolonged cooking—which isn’t done during traditional custard making, but we’re going to explore its benefits. Food scientists have known for a long time that milk proteins turn into more powerful emulsifiers and stabilizers, just from being cooked to the right degree3,4. During cooking, whey protein molecules (which make up around 25% of the total milk proteins) begin to unfold (denature), exposing reactive surfaces that had previously been concealed. These are able to form new bonds with casein molecules (which comprise most of the remaining protein). In doing so, they work in similar ways to the emulsifying ingredients we traditionally include in ice cream recipes (like egg yolk). The denatured whey protein can augment, and in some cases replace, traditional emulsifiers. See the post on Emulsifiers. The partially denatured whey proteins can also form aggregates with other whey proteins, and form a weak hydrocolloid gel—much like the stabilizing ingredients. With careful management, the cooked proteins can serve most of the purposes of an egg custard. In pure milk, we see effective protein denaturing taking place between 70°C an 85°C. There is, unfortunately, little scientific literature available on this process in the specific context of ice cream. Since the cooking environment—including pH and fat and sugar and dissolved solids levels—throws so many variables into the mix, we can only use the research for broad guidelines. Fortunately, some ice cream pioneers have done the empirical research for us. Engineers at Haagen Dazs aren’t sharing, but Jeni Britton-Bauer, of Jeni’s Splendid Ice Creams, devised a process that includes pasteurizing her egg-free mix at 75°C for up to an hour. Ice cream mix pasteurizes to federal standards in about two minutes at this temperature; the rest of that cooking time works the proteins. Between using a higher than normal level of nonfat mix solids, a long, controlled cook, and a small addition of relatively weak starch stabilizer, she creates egg-free ice creams that have a rich mouthfeel normally associated with custard bases. Britton-Bauer also favors this time / temperature combination because it gives a custardy “cooked milk” flavor to the mix, which she favors. My own experiments don’t bear this out. I made identical, unflavored samples of ice cream mix (15% fat, 10% nonfat milk solids, 2 yolks/liter), cooked sous-vide at temperatures from 72°C to 80°C, for times ranging from 15 to 60 minutes. In a series of double-blind triangle tastings, subjects found the differences almost too close to call. There was a slight preference for 75°C held for 30 minutes, but there was no sense of cooked milk flavor, and it was not more “custardy” than others. It’s likely that with flavoring ingredients added, there would be no differences. I take this as good news: at least if your mix is low on egg yolks you shouldn’t have to worry about flavor when choosing a cooking time and temperature. You may want to run your own tests. Variables like the number of yolks and the level of nonfat milk solids might influence the results. If you’re cooking the mix for more than a few minutes in an open container (every method mentioned here besides the immersion circulator, Thermomix, or the hot plate with a covered container), enough water will evaporate to effect the results. You’ll see a decrease in the total mass of the recipe, which will correspond to an increase in the percentage of solids. This will improve most cookbook recipes. But it can hurt a well designed professional recipe that already has optimal solids. If you’re doing long cooks in open containers, weigh the mix again after cooking, and recalculate your formula based on the final mass. You’ll find you can add less dry milk. Some people use evaporation deliberately to increase nonfat milk solids. This can work, of course, but I’ll suggest that you’re sacrificing precision by juggling too many variables at once. 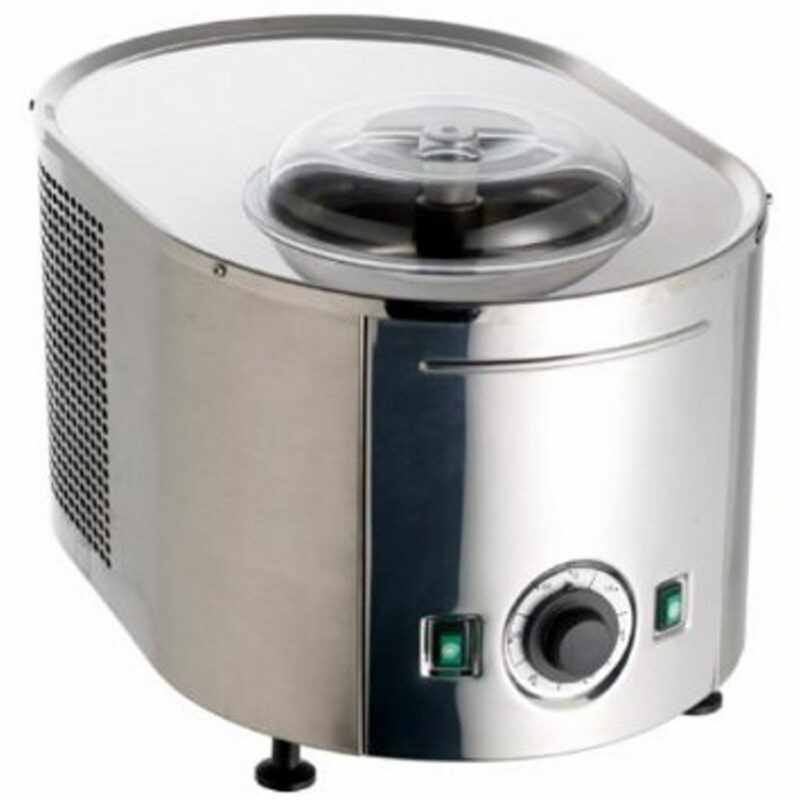 Evaporation rate will vary with the size and shape of the cooking container, the volume of ice cream mix, and even the ambient temperature and humidity. How are you going to control both the evaporation and the cooking of the milk proteins? Some people chose evaporation over dry milk powder on the assumption that dry milk powder tastes bad. Some of it does; the good stuff doesn’t. Higher quality versions are pure, spray-dried skim milk, with the water evaporated at lower temperatures and under more precise controls than you’ll create in the kitchen. You’re doing yourself and your ice cream no favors by taking on this role. If your base has a typical quantity of nonfat milk solids (in the 10% range) I believe that optimizing your cooking can subtly increase smoothness and creaminess, but will not completely substitute for eggs or other emulsifiers and stabilizers. My current preference: 75°C / 167°F for 45 minutes. 30 minutes is all that’s needed once at final temperature. I add 15 minutes to give the ingredients time heat up from their starting temperature. I usually use an immersion circulator. Make sure you’re paying attention to the minimum temperatures needed to hydrate your stabilizing ingredients. Commercial stabilizer blends are often formulated to hydrate at room temperature, but check the instructions just in case. Some gums, like locust bean gum, won’t fully hydrate until they’re hot. Ideally, find a version that works at your preferred cooking temperature. TIC Gums makes Locust Bean Gums that hydrate at 74°C, so I use these. Most other brands require temperatures higher than i prefer. Required for commercial ice cream, a pretty good idea for any ice cream, and luckily, something that’s going to happen on its own with most standard cooking steps. Pasteurization is defined as a reduction in pathogens (harmful microbes) by a degree that’s legally considered safe. In most cases this refers to a log-6.5 reduction (abbreviated 6.5D) of the most harmful or hardest to kill pathogen. This means that only three bugs in ten-million will survive pasteurization. Pasteurization requires the right combination of temperature and time. The values vary with the type of food (and therefore the type of resident pathogens). Homogenizing means blending with such high shear forces that the big fat globules are broken up into many much smaller ones. This improves smoothness, whipability, and stability of the foam structure. Even if you start with homogenized milk, it helps to homogenize again after cooking. At cooking temperatures, the fat globules melt and start glomming onto one another. Meaning, the milk will start to de-homogenize. 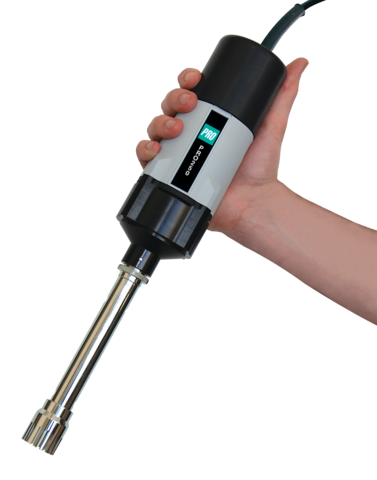 If you can get your hands on a rotor-stator homogenizer, this is ideal, but a high-powered blender (Vitamix, etc.) does a pretty good job. A stick blender is better than nothing. The idea is to blast the mix with high shear forces, while it’s still hot. 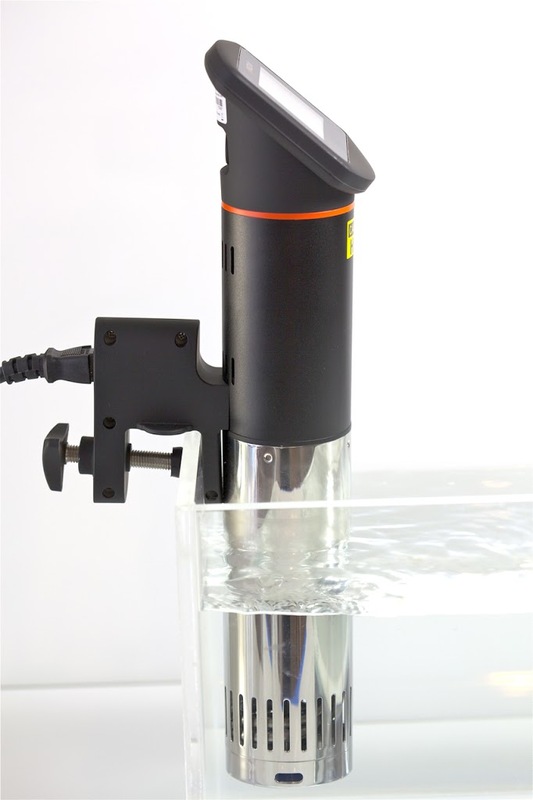 This will let the blades of your blender or homogenizer work on the fats in their liquid state. If you’re cooking the mix sous-vide, you’ll have to empty the bag into your blending container. Use this opportunity to remove the weight (use tongs—it will be hot). Seal the bag again to keep contaminants out, so you can re-use it. If you’re homogenizing in a high-powered blender, beware that these things generate enough blade friction to add heat. You might want to stop and check the mix with a thermometer the first couple of times you try this, to make sure you don’t heat the mix beyond your cooking temperature. In my experience, this has never happened with blending times of a minute or so; the mix loses more than enough heat just by being poured into a new container. Blend on the highest speed. Ideally for a full minute. Cool the mix as fast as possible before putting in the fridge. The fridge takes much too long, and could allow spores of anaerobic bacteria, which are not killed by pasteurization, to activate. This would be highly unlikely, but there’s no reason to mess around. A couple of quarts of hot ice cream mix can also warm up everything else in the fridge. Pour the mix into a large Ziploc bag. If you cooked it sous-vide, just reuse the same bag. Then drop it into an ice water bath. Stir it around and gently squeeze / agitate the bag to keep the mix moving. You should be able to chill it to 5°C / 40°F in just a few minutes. This step—leaving the mix in a refrigerator (below 3°C / 38°F) for 4 to 8 hours—is critical. It allows the fat globules to partially crystalize, so they’ll be whipable. And it gives the ice cream machine a head start in freezing the mix. I’ve read suggestions that the only important factor is temperature, and that time is unimportant. But research suggests that milk fat crystalizes slowly when in an ice cream mix—much more slowly than when in the form of pure cream. 4 hours at refrigerator temperature is the minimum needed to guarantee good texture. To age the mix, just put the bagged mix in the fridge. Make sure the place you put it is cold enough. I like to place the bag upright in an open plastic container, to reduce the chance of leaks. Carpigiani Maestro and Labotronic machines, along with similar models by Bravo, are about as good as they come. There are bajillions of ice cream machines available, ranging from inexpensive freezer-bowl models to prosumer compressor models to rock-salt-and-ice-filled soccer balls you churn by kicking around the lawn to high end professional machines with automated cycles and multiple adjustable parameters. From the perspective of ice cream quality, only three factors matter: the design of the dasher (the spinning blade), the dasher speed, and the cooling power (either the power of the compressor or the heat capacity of the freezer bowl). The first two factors determine the overrun (how much air gets whipped into the ice cream). Some machines have some combination of interchangeable dashers, adjustable speeds, and adjustable power cycles. 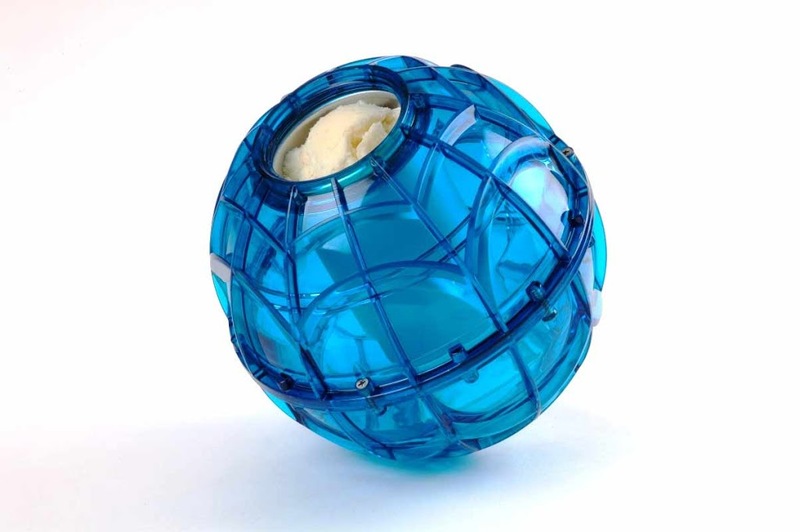 These give you control beyond the ice cream formula itself. The second factor determines the speed of freezing (“residence time”). The faster you can freeze the ice cream, the better. The physics are quite simple: the more quickly water freezes, the smaller the crystals. While we can influence crystal size with the dasher speed and design, and with the solids and stabilizer content of the mix, all else being equal, a faster freeze will give smaller ice crystals. Fill one side with your mix, the other with salt and ice, and give to some ADHD kid to kick around. You’ll find some old-time ice cream machine makers touting the benefits of a long and slow freeze. They’re blowing smoke. If your machine takes longer than 30 minutes to freeze a batch of ice cream, it’s going to favor an icier product. You can still get smooth results by virtue the recipe, but you’ll be doing so in spite of the machine, not because of it. Machines like the top-of-the-line Carpigiani and Bravo models can freeze a batch in well under 5 minutes. The results are phenomenally smooth. Ice cream attachment for mixer. Works well if your freezer’s set to -5°F or lower. You don’t necessarily have to spend a lot of money. If you don’t need a lot of capacity, some of the freezer bowl models can freeze a quart of ice cream in under 15 minutes, if you keep your freezer turned low enough. With my home freezer set to -6°F / -21°C, my Kitchenaid bowl attachment freezes the mix to a perfect texture and drawing temperature (see below) in 7 to 9 minutes. You need a professional compressor machine that costs over $5000 to beat this. The most powerful home compressor models can do it in 20 minutes at best, which is adequate if the dasher is designed well. I’m a bit skeptical of inexpensive compressor models; many of them are underpowered and specify a freezing time of over 40 minutes. It’s difficult to get smooth ice cream with freezing times this long. Lello Musso gelato machine. Among the best compressor-driven home models. If your mix has been aging in a Ziploc bag, the easiest way to get it into the machine is to snip off one of the bottom corners and use the bag like a pastry bag: squeeze the mix out. Some mixes can be quite viscous, or even gelatinous, especially if there are lots of added fats from chocolate or nut butters, or if your stabilizer blend forms a gel (which should be avoided). If your mix has formed a gel that’s too viscous for the machine to churn efficiently, squeeze the mix into a bowl or plastic container, and blast it with a stick blender. This will turn the stiff gel into a fluid gel that’s much more pourable. Use an instant read thermometer (a Thermopen or equivalent) to check the temperature of the ice cream when the consistency looks right—dry on the surface, and relatively smooth, with a viscous, whipped, soft-serve texture). At this point the ice cream has achieved the right structure. In the interests of ideal consistency at serving temperature, and in limiting ice crystal growth, we want the mix to reach this consistency at -5°C / 23°F to -6°C / 21°F. If the ice cream measures warmer than this when the consistency is right, the recipe should be adjusted to increase freezing point suppression. And of course if it’s colder, the recipe should be adjusted the other way. If your machine has the cooling power to freeze the ice cream colder that -5°C, you may find it advantageous to let it do so—provided that the rate of cooling is still faster than that of the freezer you use for the hardening step. If it take your machine an additional 20 minutes to shave off a few more degrees, then waiting will likely hurt the texture. It’s probably not practical to go significantly lower than -6°C / 21°F. The process becomes self-limiting; the ice cream is stiff enough that the machine will be adding heat in the form of mechanical energy as fast as the compressor can remove it. Thrashing the ice cream around at a steady temperature is counterproductive. 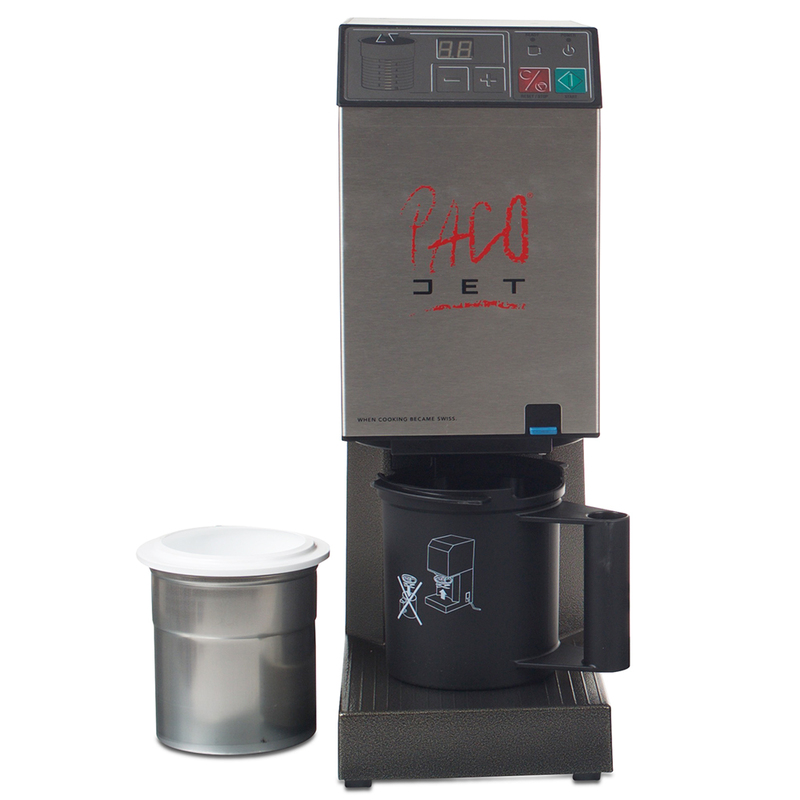 The Paco Jet starts with mix that’s been frozen solid; it uses high-speed blades to shave and fluff the ice into a foam with nano-sized ice crystals. The ice cream is usually made to order at small cafes and restaurants, so recipes can be looser and freer than ones designed for conventional machines. A smooth texture is guaranteed, provided someone eats the ice cream right away. If you need to make the ice cream ahead and store it in a freezer, then all the usual considerations apply again. Liquid Nitrogen came onto the scene in the 1980s, possibly discovered by the founder of Dippin’ Dots as a viable ice cream freezing method. LN2 boils at -196°C / -321°F, so as you might imagine, it freezes ice cream fast. This means almost preternaturally smooth ice cream, which can be made in just a couple of minutes in an ordinary stand mixer. That is, if you have a laboratory dewar full of liquid nitrogen handy. You can buy a dewar for several hundred dollars, and you can probably find a service that will deliver to your kitchen. The expense and inconvenience may still be discouraging. LN2 isn’t terribly expensive, but you need a lot—several times the volume of your mix. And delivery services may have minimums. So LN2 ice cream has mostly been popular with people who have other reasons to keep liquid gas around, like chefs who work with contemporary techniques, or biologists who like to party. To make LN2 ice cream, wear the appropriate safety gear—especially shoes or boots that are closed and covered by your pants cuffs. Make sure there’s good ventilation (otherwise, if you spill a bunch, nitrogen will displace the oxygen from the room and you’ll never know what hit you). 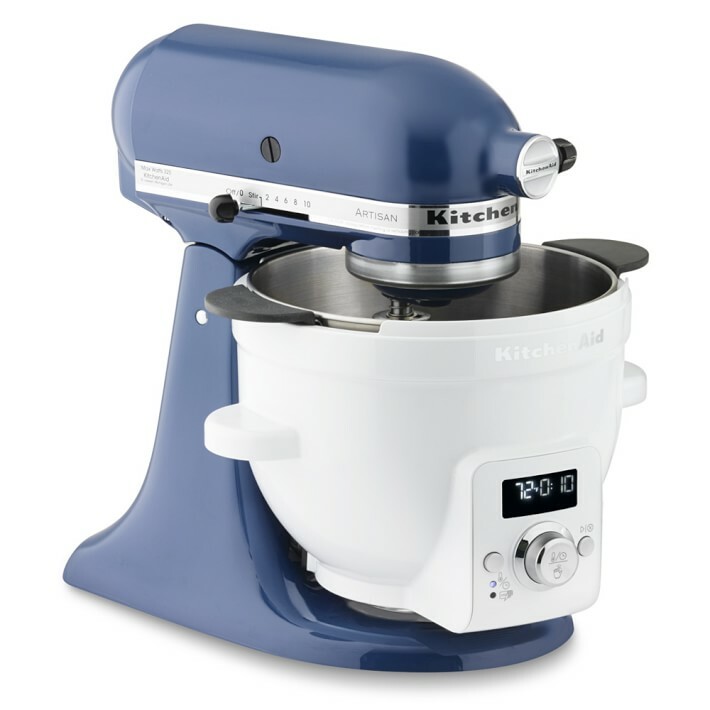 Pour your mix into a stand mixer work bowl, turn the machine on low, using the flat beater, and slowly pour the LN2. Enjoy the disco fog. 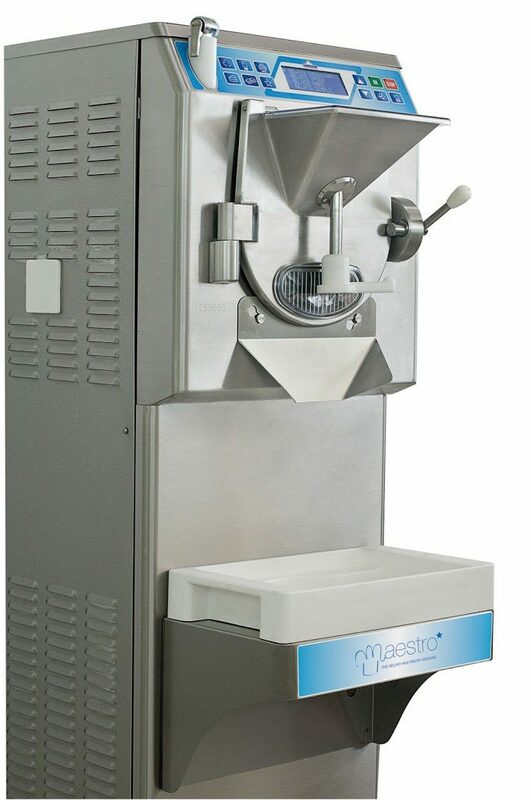 Stop pouring and stop the machine when you get the consistency of soft serve. Don’t try to over-harden it … your mixer won’t be happy. Dry Ice offers some similar advantages to LN2. With a melting / sublimation point of -79°C / 109°F, it’s positively balmy compared to nitrogen, but it’s a lot colder than your ice cream machine. Dry Ice isn’t as easy to find as it once was—those gel-filled cold packs actually do a better job of keeping beer chilled in the cooler, and won’t burn anyone. If you can find some locally, make sure it’s food grade. A lot of the stuff is technical grade and can be contaminated with god-knows-what. 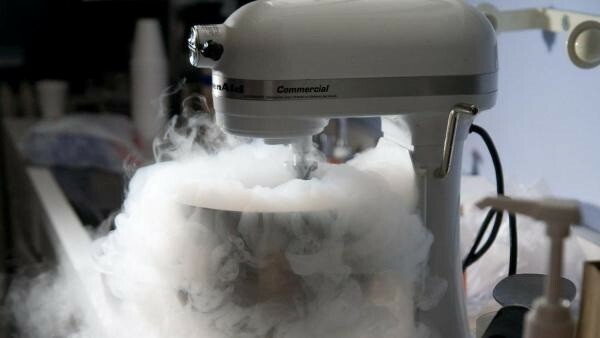 A unique quirk of dry ice: it will carbonate your ice cream. The C02 bubbles are quite unstable, so the carbonation won’t last long. If you don’t want it, hold the ice cream in your freezer for a couple of days. If you do want it, serve the ice cream as soon after hardening as possible. I’ll post my recipe for sparkling champaign sorbet in a later post. To use dry ice, grind it into snow or small chunks in a blender, and then churn into the mix with a stand mixer, as with LN2. Most ice cream machines will only get the ice cream down to soft-serve temperatures. You then need to harden the ice cream, and do so as fast as possible—again, to keep the ice crystals from getting too big. Crystals grow rapidly at the relatively warm drawing temperature—the clock is ticking as soon as stop the ice cream machine. Commercial ice cream kitchens and better equipped pastry kitchens use blast freezers, typicallly set to -40°. If you only have a standard freezer, the tricks to a quick freeze are to set the freezer as low as possible (most newer freezers can get down to —20°C / -5°F, and to freeze the ice cream in small batches. Pints are ideal. 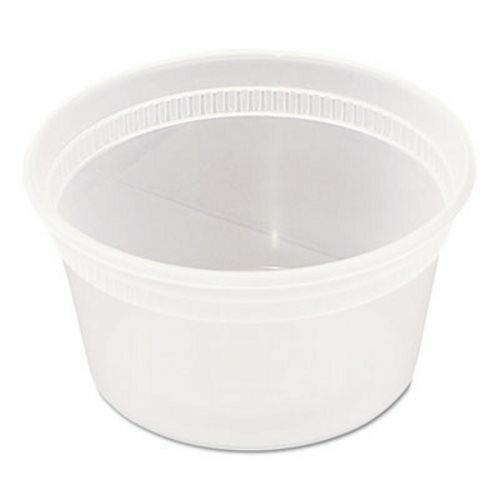 16oz polypropylene takeout containers are especially convenient. They get brittle in the freezer, so they crack easily, but you can always stock up by ordering some more takeout. If the ice cream won’t be eaten immediately, you can add some insurance against iciness and off-flavors (from the freezer) by pressing a layer of plastic wrap over the surface, before snapping the lid on. Be sure to use odor-free plastic wrap (made from polyethylene) rather than the commercial types (made from polyvinyl chloride). All the consumer brands are ok. The commercial brands form a better oxygen barrier, but will make the ice cream taste like a shower curtain. 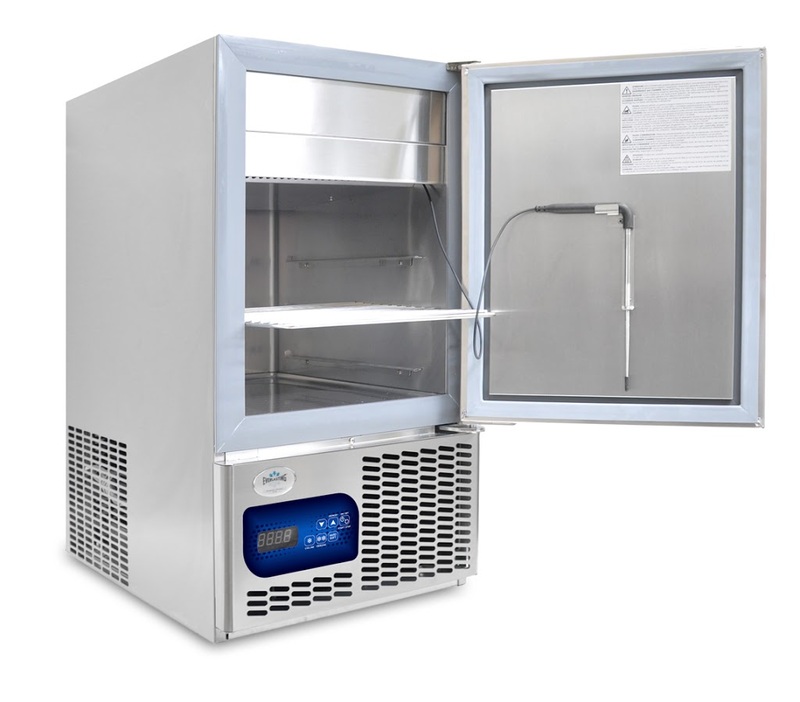 If you’re using a blast freezer, you’ll wait until the ice cream is hardened throughout, and then transfer to a standard freezer. It will be as hard as concrete, and will take many hours to resemble dessert. If you’re using a standard freezer for hardening, then after 8 hours or so you’re done. Moving the ice cream to the fridge 15 minutes or so before serving will make it more scoopable. 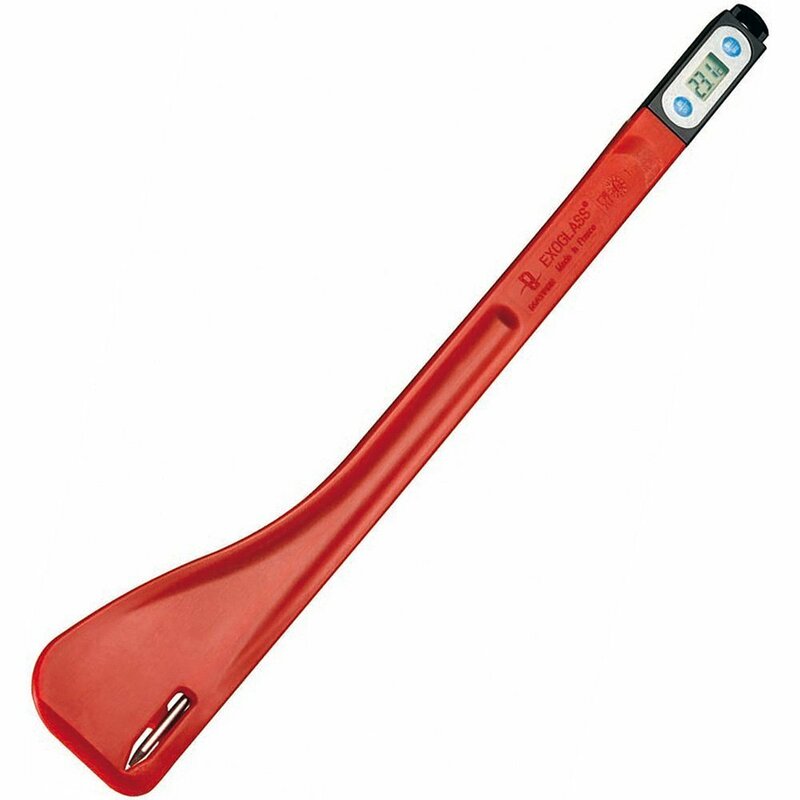 Ideal serving temperature is 6 to 10° F / -14 to -12°C. In this post we’ve covered just about everything, except, conspicuously enough, flavor. We’re leaving flavor ingredients for later posts, because these fundamentals are probably enough for right now. In the next post we’ll take a closer look at sugars. 1You do, right? Two, actually—one that reads to 1 gram and can hold several KG, and one that reads to 0.01g and can hold 100g or so? No? Stop right now and buy something like this and this.